Our handheld confocal microscope provides non-invasive, in vivo images of the epithelium and supporting stroma. The VivaScope System produces horizontal sections of the skin. Horizontal sections make it straightforward to view the various layers of the skin in sequence, from the outer surface of the stratum corneum, through the granular, spinous and basal layers, to the level of the superficial reticular dermis. 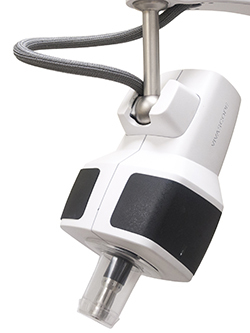 The VivaScope System is capable of imaging cells in the epidermis of skin and the fibrous tissue, primarily collagen and fibrin, in the dermis. In addition, it is possible to visualize circulation of blood cells, including both erythrocytes and leukocytes, in capillaries and other small vessels. 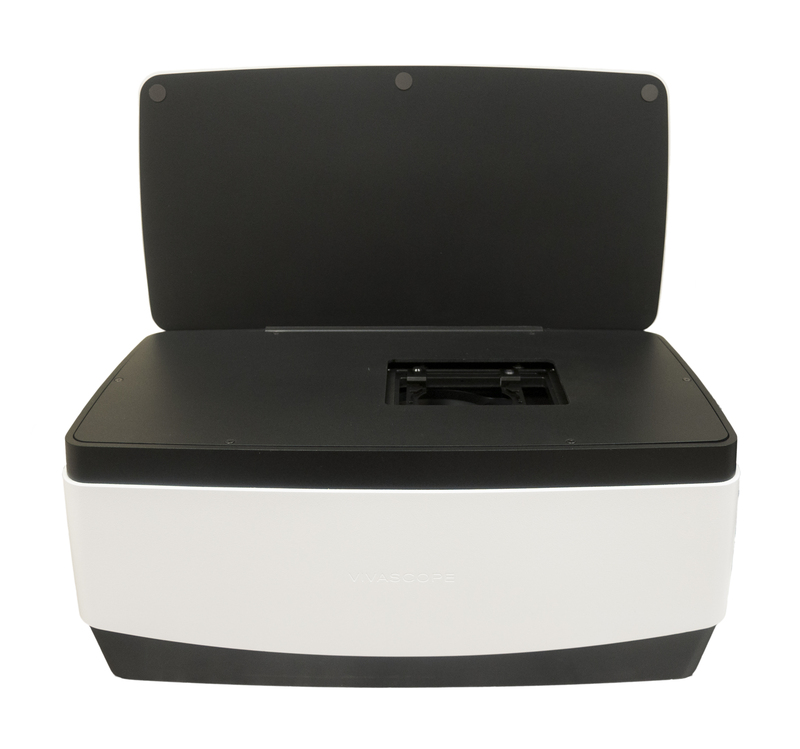 Base Dimensions: 56.89" x 25"
The VIVASCOPE 2500 is a confocal microscope specially designed for imaging fresh, needle aspirated, or fixed specimens in reflectance (phase contrast) mode or in fluorescence mode for specimens stained with fluorochromes. Specimens can be examined in near real-time without time consuming processing procedures. 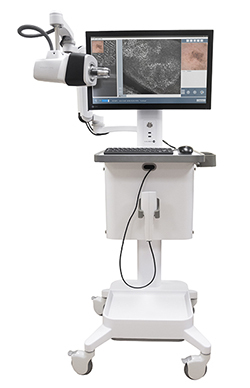 The VIVASCOPE 2500 is used by physicians and other licensed healthcare professionls to view enlarged images of specimens during pathological examinations. 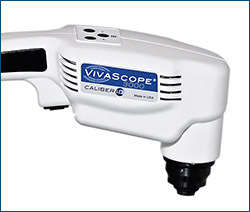 Our VIVASCOPE 1500 provides non-invasive, in vivo images of the epithelium and supporting stroma. Horizontal sections make it straightforward to view the various layers of the skin in sequence, from the outer surface of the stratum corneum, through the granular, spinous and basal layers, to the level of the superficial reticular dermis. The VIVASCOPE System is intended to acquire, store, retrieve, display and transfer in vivo images of tissue, including blood, collagen and pigment, in exposed unstained epithelium and the supporting stroma for review by physicians to assist in forming a clinical judgement. The VIVASCOPE System produces horizontal sections of the skin. ©2016 Caliber Imaging and Diagnosis.